When you are planning your dream wedding you must be very careful when you settle all the aspects. The church is one of the most important details of your wedding and it is the place where the wedding ceremony takes place. Choosing a restaurant can be also a very difficult mission. If you want to be sure that you have chosen the best place for your wedding, you have to visit it several times. When you choose the arrangement for the wedding hall you have to be very careful at all the details. The floral arrangements are also very important. Buy maybe the most important aspect when you are planning your wedding is the wedding dress. You have to find the perfect dress for you: a dress that makes you feel like a princess and which is very comfortable. If you are wearing the right dress then your look will be half settled. The wedding bouquet is a very important accessory for you to wear on your wedding day. 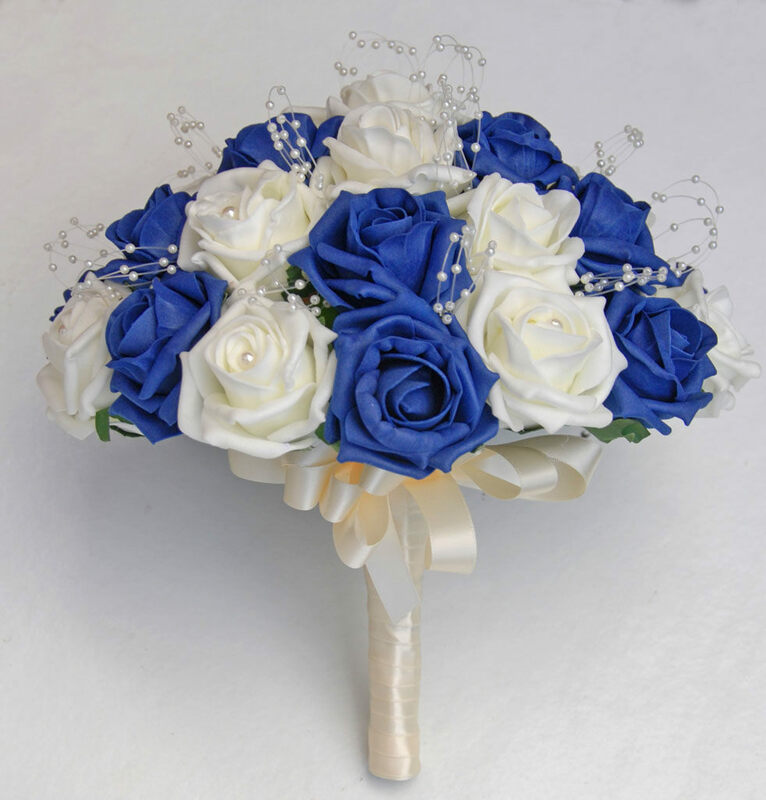 If you want to follow the tradition with “something new, something old, something borrowed, something blue” then a blue roses wedding bouquet is the perfect choice. 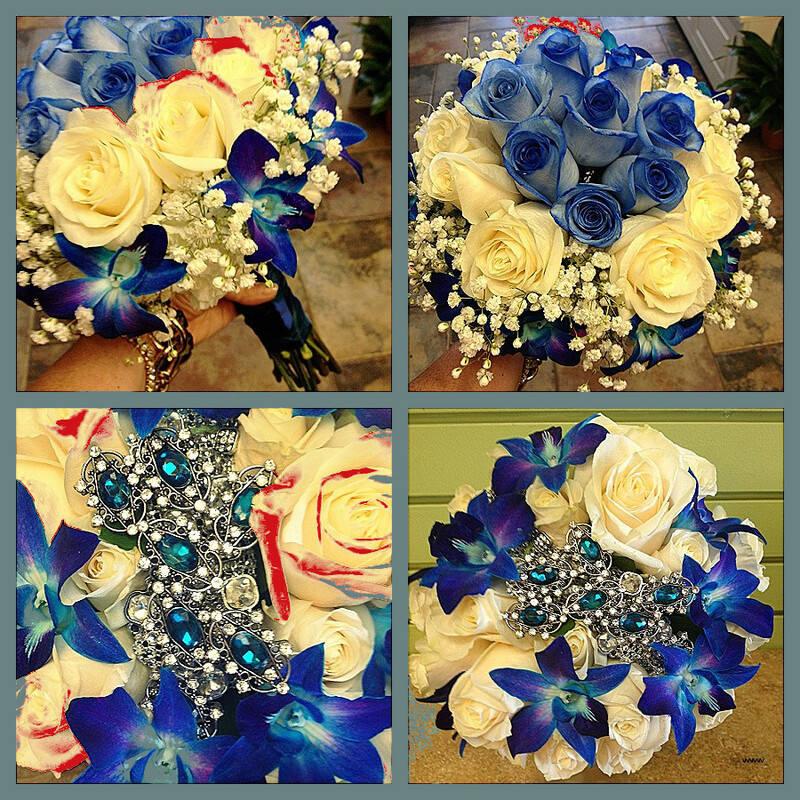 A blue roses wedding bouquet is not a shy choice, if you are not a bold person then you should not choose a blue roses bouquet. If you want to be in the centre of everything more than you are supposed to be, then this kind of bouquet is exactly what you need. You can have a simple bouquet with blue roses only or you can have a mixed bouquet with several flowers and colours. Accessories like silk, lace, pearls or even small diamonds are an eccentric way to make yourself noticed and to impress. A blue roses wedding bouquet must be accessorised with a lot of self-confidence and courage and it has to be worn with style and good taste. If you are not sure that a blue roses wedding bouquet is the best choice for your personality then you should try another model more appropriate to your tastes. A thing is clear: a blue wedding bouquet is a very interesting choice and it is the best way to impress and to look like a strong, independent woman on your wedding day.